Remember the pretty face of Nayirah, the Kuwaiti nurse who told Congress that she had witnessed Iraqi soldiers tossing our babies from Kuwaiti incubators (and who later turned out to be the daughter of Saud Al-Sabah, the Kuwaiti ambassador to the United States)? Do you remember the pretty face of Neda, who “died on TV” in Iran? 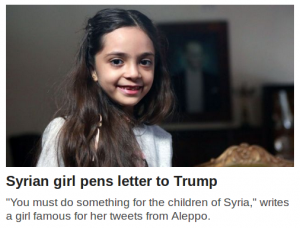 Well, let me introduce you to Bana Alabe, who wrote a letter to President Trump and, of course, the media got hold of the latter and now she is the “face of the Syrian children”.Want even more proof? 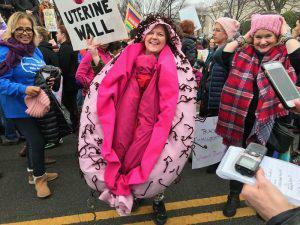 It amazes me to see that the US pseudo-elites have as much hatred, contempt and fear of the American masses as the Russian pseudo-elites have hatred, contempt and fear of the Russian masses (the Russian equivalent or Hillary’s “deplorables” would be a hard to pronounce for English speakers word “быдло“, roughly “cattle”, “lumpen” or “rabble”). It amazes me to see that the very same people which have demonized Putin for years are not demonizing Trump using exactly the same methods. And if their own country has to go down in their struggle against the common people – so be it! These self-declared elites will have no compunction whatsoever to destroy the nation their have been parasitizing and exploiting for their own class interest. 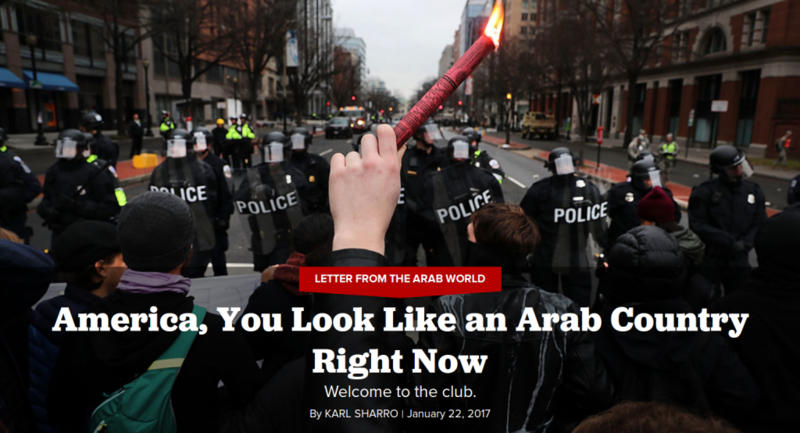 They did just that to Russia exactly 100 years ago, in 1917. I sure hope that they will not get away with that again in 2017.